Our adult education programs are interactive experiences between dynamic speakers and participants. Topics may focus on Jewish and world history, Biblical issues, and comparative religion among others, prompting discussions of social, cultural and political influences. Normally held as two hour sessions on Sunday, the programs are free and open to the entire community, not just members. For additional information, please feel free to get in touch with the Adult Education Chair or contact us. “Held weekly on Tuesdays from September through June, Rabbi Bernstein leads textual discussions on Jewish history, philosophy, holidays, or other topics of interest to participants. Discussions are extremely interactive and enlightening. Participants are asked to bring a brown bag lunch to enjoy with coffee during the discussion. Please contact Rabbi Bernstein to participate. Bet Aviv’s annual Gene Klein Scholar in Residence Program is an immensely popular program dedicated to the memory of one our founding members. 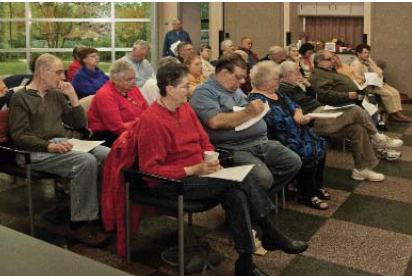 Our congregants are provided with several opportunities for learning about topics of interest to Reform Jews. In recent years, our congregants and guests have had the opportunity to hear Rabbi David Sapperstein, then Chair of the URJ Religious Action Center, speak on “Racing with God: The Use and Abuse of Religion in American Elections” and “The Impact of the 2012 Elections on the Jewish Community’s Agenda.” Subsequently, we have heard from Alan Cooperman, Director of Religious Research at the Pew Research Center discuss the Religious Landscape in the US and the World, and “The Rise of the ‘Nones,’” trends in affiliation and growth/shrinkage of religions. We were also fortunate to hear from Mitchell Duneier, author of the book “Ghetto,” trace the evolution of the term in history and to see photographs of “A Beautiful Ghetto” taken by self-taught Baltimore photographer Devin Allen. This year’s presentation was by Rabbi Bennett Miller, past chair of the Association of Reform Zionists of America (ARZA), discussing What it Means to be a Reform Zionist, and then addressing more practical issues like prayer at the West Wall and religious conversions, weddings and funerals by non-orthodox clergy. Click here to download the latest Adult Education Brochure that you can print.